…Falls ihr gerne mal mein Profil auschecken wollt, dann schaut doch gerne hier vorbei und folgt mir auch gerne. Zudem ist es immer wieder schön Neues auszuprobieren, da kommt mir der Second Hand Laden immer gelegen, denn irgendwie finde ich immer etwas, sei es auch mal etwas was ich sonst nie so tragen würde. Dieses striped pants Outfit ist das passende Beispiel dazu. Ich find die striped pants aber super in Kombination mit der (fake) Lederjacke und der Baker Boy Mütze. Natürlich fällt man schon ein bisschen auf, vor allem wenn man in einer Kleinstadt wohnt, aber hier fällt man sogar schon auf wenn man nur mal nen Hut auf hat. Ich habe mich aber auch schon daran gewöhnt, sodass es mich gar nicht stört. Das ausgefransten Enden der Hose habe ich selber gemacht, was mein Freund als ziemlich lustig empfunden hat, da ich es als DIY bezeichnet habe. Finde es sieht so definitiv lässiger aus und macht mehr etwas her. Ansonsten gibt es leider auch nichts Neues zu berichten, ich sehne mich nach warmen Wetter und würde liebend gerne mal wieder verreisen, aber dafür muss ich erstmal die Reisekasse wieder auffüllen und das geht nun mal nicht von heute auf morgen. Ein paar kleinere Trips sind allerdings schon in der Planung und auf eine Sache freue ich mich schon ganz besonders, aber darüber berichte ich euch dann in 2 Monaten. Solange muss ich mich gedulden und versuche das Beste aus meiner Heimatstadt und diesem kalten Wetter zu machen. Wie findet ihr das Outfit? Würdet ihr es so tragen? here is a new outfit with my striped pants from the second hand shop. I never thought that I would buy such a pair of pants, but Pinterest has convinced me. I love Pinterest, it’s so easy to discover so many great things, be it inspirations, recipes or a few motivational quotes. If you would like to check out my profile, then do not hesitate to come over and follow me. In addition, it is always nice to try new things, the second hand shop is perfect for me, because somehow I always find something, be it sometimes something I would never wear otherwise. This striped pants outfit is the perfect example. I think the pants are great in combination with the (fake) leather jacket and the Baker Boy hat. Of course, you’ll get stared at, especially if you live in a small town, but here you can even stand out if you only have a hat on. But I’ve gotten used to it, so it does not bother me at all. The frayed ends of the pants I made myself, which my friend found to be quite funny, as I have called it DIY. Otherwise, unfortunately, there is nothing new to report, I long for warm weather and would love to travel again, but first I have to fill up the travel fund again and that’s not going from one day to the next. A few smaller trips are already in the planning and I’m looking forward to one thing especially, but I’ll tell you then in 2 months. So long I have to be patient and try to make the most of my hometown and this cold weather. How do you like this outfit? Would you wear it that way? 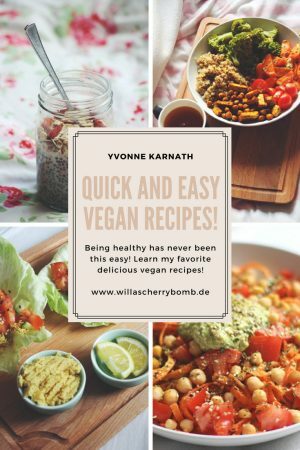 Nächster Beitrag Vegan auf Weltreise: Wie ist es als Veganer um die Welt zu reisen?